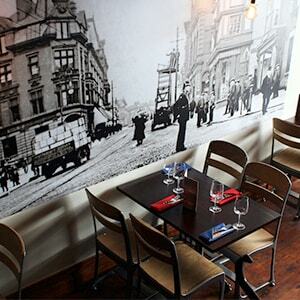 Here’s a quick list of restaurants within Wigan Town Centre (or within a few mins walk). 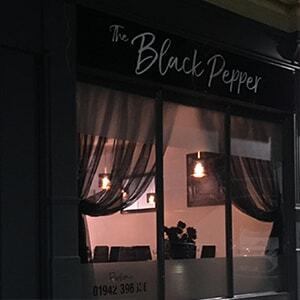 There’s plenty of variety to choose from food and budget wise – and with full contact and address details for each – there’s no reason not to have a nice meal out in town. Enjoy! 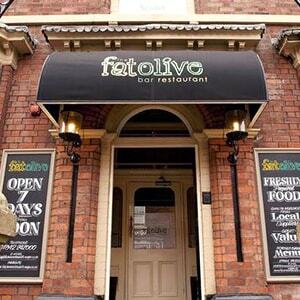 A traditional Italian menu situated in the heart of Wigan for an amazing dining experience. 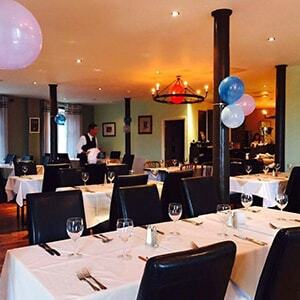 We offer a wide variety of exquisite, traditional, modern and regional Italian menus. The warm and welcoming atmosphere will make you feel like a part of the family. Serving modern British Food, using classic flavours, with a twist. If you would like a quick bite to eat at lunch, or to celebrate a special occasion at dinner; why not let our friendly staff take care of your dining experience. 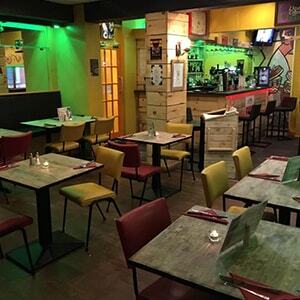 Our bistro is your bistro and we endeavour to show you the meaning of great hospitality and food! Here at Casa Carlos we only serve you with the best in authentic spanish tapas. 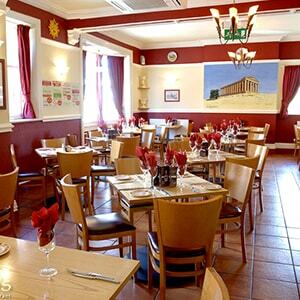 We are a local mediterranean & international restaurant situated at the Whitesmiths Arms in Wigan. Come along and enjoy our specialist tapas. 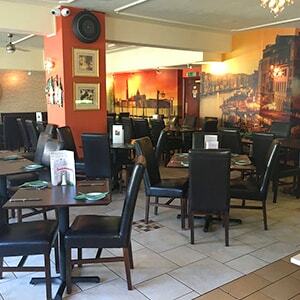 We offer an authentic Cuban dining experience right in the heart of Wigan. Enjoy one of our fabulous Cuban cocktails while you soak up the surroundings, friendly atmosphere, and live Cuban music, all of which will set the scene for an unbeatable night out. Once you’re feeling the Cuban vibe sit down and sample our mouth-watering tapas dishes and unique dessert cocktails. 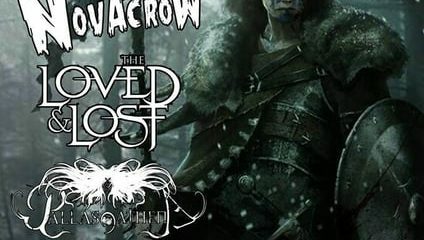 If you’re still keen for more then why not move upstairs to enjoy more live music, dancing, drinks and more! The ultimate in Chinese cuisine served in the most luxurious surroundings. 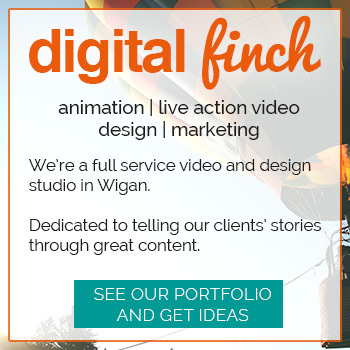 Smart, slick, contemporary and relevant – yet at a price that is affordable to all. We challenge the expectations of an ‘all-you-can’ eat buffet style menu by delivering a dining experience that is unparalleled in its excellence. Not just any Buffet, THE Chinese Buffet. With so many of our customers now becoming friends our ‘Hidden Gem’ (as one reviewer called us) has become a real meeting place where people can come along, relax and enjoy freshly made authentic vegetarian and vegan food. In a new, bigger venue for 2018 – find us in The Old Courts! 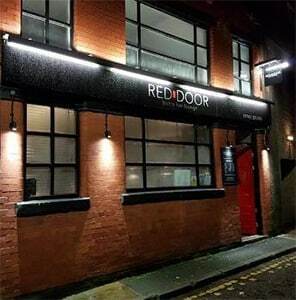 With menus styled with a International theme with an added and traditional Lancashire twist you can be sure that there will be a dish to suit everyone’s taste from either the A La Carte menu or weekly changing specials. The restaurant boasts great modern decor and a friendly ambience offering a full wine list with draft and bottled beers available. 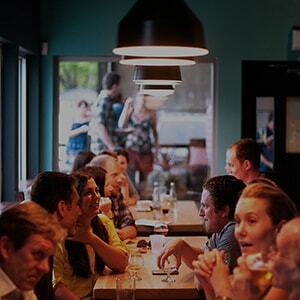 A warm and friendly atmosphere awaits you at Franco’s. 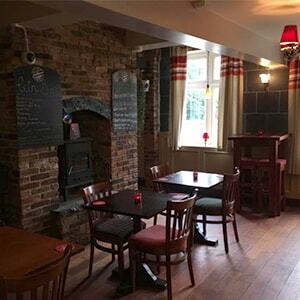 Set in a grade 2 listed building dating back to 1896 and located in the centre of Wigan Franco’s is the perfect place to enjoy the finest Italian cuisine complemented with a world wide choice of fine wines. 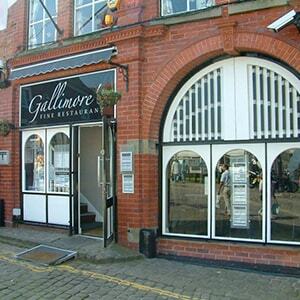 Gallimores is one of Wigan Town Centre’s premier restaurants for contemporary dining. 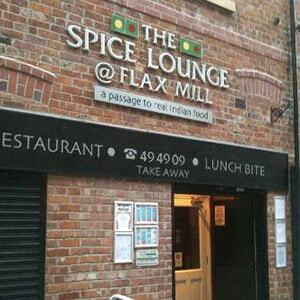 Situated on the historic Wiend – adjacent to the new Wigan Life Centre and Piazza, we offer a fusion of international dishes in a relaxed atmosphere. 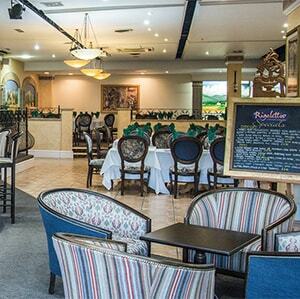 Gallimores is a popular dining experience and has built a reputation on providing high quality – value for money lunch time and dinner menus. 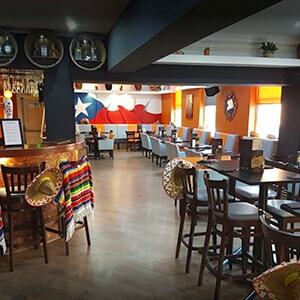 We offer to you an exciting and delicious range of Mexican and Texas style food, from generous portions of Tacos and Chimichangas to mouth watering Steaks, Burgers and sides, all created with only the freshest ingredients. 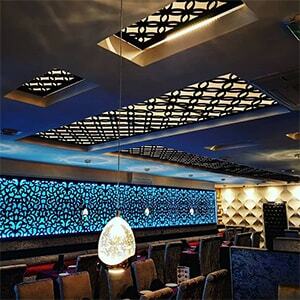 Our aim is to provide you with an authentic dinning experience this will stimulate your senses with modern, eye-catching, comfortable surroundings. Papa Luigis Wigan offers its customers a warm welcome, somewhere to relax and unwind or to celebrate that special occasion. 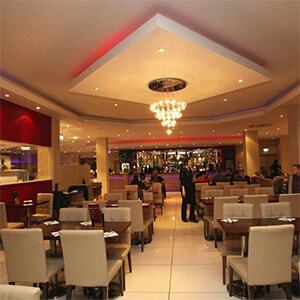 We offer spacious seating with elegant surroundings and a family atmosphere. 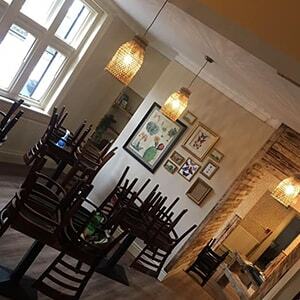 So whilst you’re tantalising your taste buds with our delicious authentic Italian cuisine you can soak up the atmosphere as we bring that little bit of Italy to you. Boasting an extensive menu, the Raj has dishes to suit everyone’s taste. Whether it’s traditional dishes like the Tikka Mossala and Madras, or one of our more exotic dishes from our special award winning signature dishes selection like the ‘Tiger Prawn Paheli’ – we are confident that we can truly tantalise your taste buds! Located within the DW Stadium, Rigalettos Italian Restaurant offers quality food at sensible prices. Our chefs have mastered the oldest food concept in Italy so you can experience original ‘stone fired’ cooking from the wood-burning oven imported especially for Rigalettos from Naples. 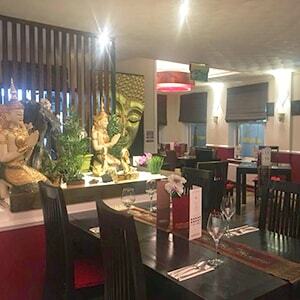 Simply Thai is situated in Wigan’s town centre, on Hallgate next to Jaxons Court. It is the perfect place to experience the finest authentic Thai cuisines at day or night. Bringing you Burgers, BBQ and more booze than a Nun’s secret stash. 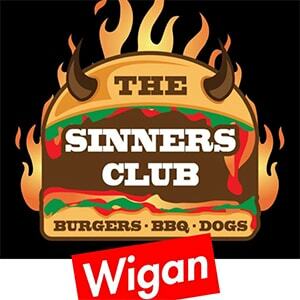 The second venture for The Sinners Club, has just opened in Wigan Town Centre! 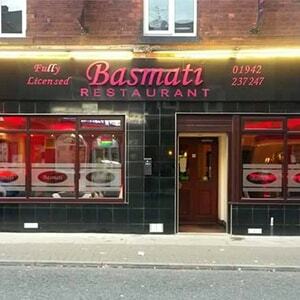 We are famous for using a special blend of spices from the finest states of India and Bangladesh, selected for their character to produce a fantastic high quality curry.